Sasuke's EMS. 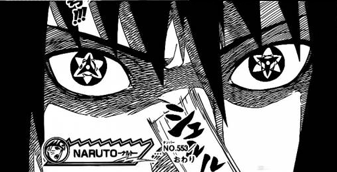 chapter 553. Wallpaper and background images in the Naruto club tagged: manga sasuke sasuke uchiha sharingan mangekyo eternal mangekyou ems. This Naruto photo might contain teken, poster, tekst, bord, and schoolbord.